The Slovenian Ministry of Economic Development and Technology, in cooperation with the Slovenian Intellectual Property Office, prepared a draft Act amending the Industrial Property Act in order to transpose the provisions of the Directive (EU) 2015/2436 into national legislation. - Non-use defense has been introduced in opposition proceedings and annulment and infringement actions. The draft was available for public consultation from January 21 to February 20, 2019. The Slovenian Association of Representatives for Intellectual Property provided the Ministry with comments and proposed amendments to the text. Once the Ministry prepares the final version of the proposed draft, it will enter the parliamentary procedure. On February 15, 2017, the Slovenian Parliament unanimously adopted the new Act on the Restriction on the Use of Tobacco and Related Products (“Tobacco Act”) that came into force on March 11, 2017. With the new Tobacco Act, Slovenia has implemented the Directive 2014/40/EU (“Tobacco Products Directive”) into its legislation. Although the plain packaging provisions of the Tobacco Products Directive are not mandatory, Slovenia opted to introduce them and joined the group of countries with restrictive tobacco legislation. Plain packaging will become obligatory in Slovenia as of January 1, 2020. As of February 16, 2015, the Slovenian Intellectual Property Office (SIPO) allows electronic filing of seven more applications regarding national trademarks and designs through an online application, which was developed in close cooperation with OHIM - Office for Harmonization in the Internal Market (Trade Marks and Designs). Previously on November 5, 2014, electronic filing of applications for the registration of national trademarks and designs through an online application was launched. The Slovenian Intellectual Property Office (SIPO) allows as of 5 November 2014 electronic filing of applications for the registration of national trademarks and designs through an online application, which was developed in close cooperation with OHIM - Office for Harmonization in the Internal Market (Trade Marks and Designs). SIPO electronic filing system is currently available only in Slovenian language and is accessible at http://www.uil-sipo.si/uil/dejavnosti/e-vloge/. On 27 November 2013 Slovenia adopted an amendment to the second paragraph of Article 67 of the Industrial Property Act regulating time frames for filing the request for continuation of proceedings after missing a deadline. The amendment came into force on 21 December 2013. In accordance with the first paragraph of Article 67, the applicant, who has failed to comply with a time limit set out for the fulfillment of the obligations required in the proceedings for the acquisition of a right, may request that the non-observed time limit be deemed to have been complied with, that legal consequences of such non-observance be abolished, and that the Slovenian IPO continues the proceedings for the acquisition of the right. This legal remedy is different from restitutio in integrum as it can only be applied in the IP right application stage of the proceedings and not later on. At the same time, it is not limited only to cases where the applicant/holder has a justified and provable reason for missing a deadline, like in the case of restitutio in integrum. No reason for missing a deadline needs to be proven or even given. The former version of the second paragraph of Article 67 stipulated that the request for continuation of proceedings had to be filed within two months after the applicant learned of the non-observance of the deadline or its legal consequences, while not setting any other deadline to file the request. In theory, this allowed the applicant to file a request for continuation of proceedings even years after missing the deadline. In the interest of legal certainty, the amended law now sets the time limits to file the request for continuation of proceedings within two months after the cause for missing the deadline ceased to exist or within two months after the applicant learned that he missed the deadline. However, in no case can this request be filed later than six months after missing the original deadline. On October 30, the Slovenian Intellectual Property Office (SIPO) joined Designview, online database and search tool created to provide free access to data on designs registered in all participating national offices. By adding nearly 4,000 Slovenian designs, Slovenia has joined Portugal, Benelux, Estonia, Spain, Greece, Bulgaria, Slovakia, Latvia and OHIM in the Designview community. As of January 2010, the Slovenian Industrial Porperty Bulletin will be issued monthly (formerly bi-monthly). It will be available free of charge in an electronic format at the Slovenian IPO's website on the last workday of the current month. The 2010 publication dates are: January 29th, February 26th, March 31st, April 30th, May 31st, June 30th, July 30th, August 31st, September 30th, October 29th, November 30th and December 31st. Legal basis is the Industrial Property Act; its last amendment came into force on December 6, 2013. Slovenia is a member of the Madrid Agreement and the Madrid Protocol. Since May 1st, 2004, Slovenia has been a member of the European Union. Trademark protection is, except for some minor exceptions, obtained by registration. Registrable as a trademark are all distinctive and graphically representable signs, such as words, names, acronyms, letters, numbers, devices, emblems, colour or colour combinations, sounds, three-dimensional forms, the three dimensional form of a good or its packaging and any combination of the mentioned signs. The following trademark types are registrable: trademarks (covering goods and/or services) and collective trademarks. The application is filed with the Slovenian Intellectual Property Office. The application process includes a formal examination and an examination of absolute grounds for refusal (e.g. distinctiveness, descriptiveness, deceptiveness), but no search for prior trademarks. The processing time from first filing to registration is approx. 5 to 12 months. Before registration, the trademark application is published in a monthly “Bilten za industrijsko lastnino”. The opposition period is 3 months from publication of the trademark application. If the trademark has not been used within 5 years from registration or has later not been used for 5 consecutive years, it may be subject to cancellation. The official fee is EUR 100.00 for up to three classes and EUR 20.00 for each additional class. Registration fees amount to EUR 150.00 for up to three classes and EUR 50.00 for each additional class. 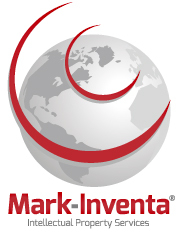 Mark-Inventa Co., Ltd. is a law office, residing in Slovenia, providing exclusively IP and related services in over 30 jurisdictions, generally in the Eastern Europe and CIS countries, for over 20 years now. We represent several of the world’s top corporations and cover all aspects of Intellectual Property matters from preliminary searches, preparing, drafting and filing applications up to bringing the applications to the grant stage, as well as renewal of IP rights. We also act before international IP offices EPO, OHIM and WIPO in all IP matters including patent, trade mark and design applications, oppositions and renewals on behalf of our clients. We are also domains registrar for Slovenia (country code .si) and provide domain registration in several other countries. We have built up quite large network of associates in these countries, allowing us to provide some unique services and a worldwide approach to the protection of IP portfolios. Our specialty is managing simultaneous filing of trademark applications as well as filing PCT national/regional applications and requests for validation of European patents in multiple jurisdictions.